Danger waits just underneath the surface in Horton Foote’s powerful, Pulitzer Prize-winning drama of an aging couple still reeling from the death of their only child. Set against the backdrop of a rapidly modernizing 1950s Houston, the Kidder family’s lives are turned upside down once again when a figure from their son’s past shows up in town. They deny, deflect and deceive in an effort to avoid the danger but can’t avoid the inevitable reckoning. How far will these grieving parents go to avoid the truths this young man from Atlanta might reveal? Director Michael Wilson (The Orphans’ Home Cycle, The Old Friends), the premier interpreter of Foote’s work, returns to Signature to spearhead the first New York revival of this beautiful, heartbreaking play that explores and dissects the American dream while revealing the depths we go to in order to keep ourselves safe. Legacy playwright Horton Foote premiered The Young Man from Atlanta during our 1994-95 Season. The play won the 1995 Pulitzer Prize for Drama and transferred to Broadway in 1997, where it received a Tony Award nomination for Best Play. Signature has produced a number of Foote's plays since then, including The Old Friends (2013), The Orphans' Home Cycle (2009-10 Season) and the Trip to Bountiful (2005). 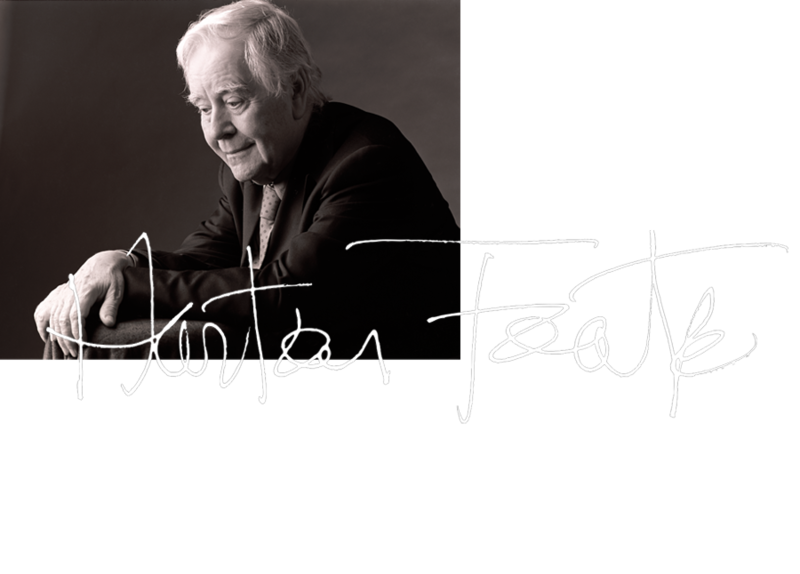 Horton Foote photo by Susan Johann.